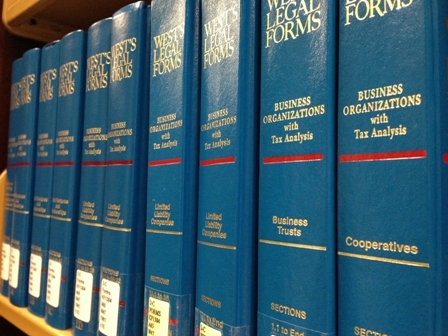 Have peace of mind that your business meets its legal compliance obligations. Good big businesses have been doing this for a long time. 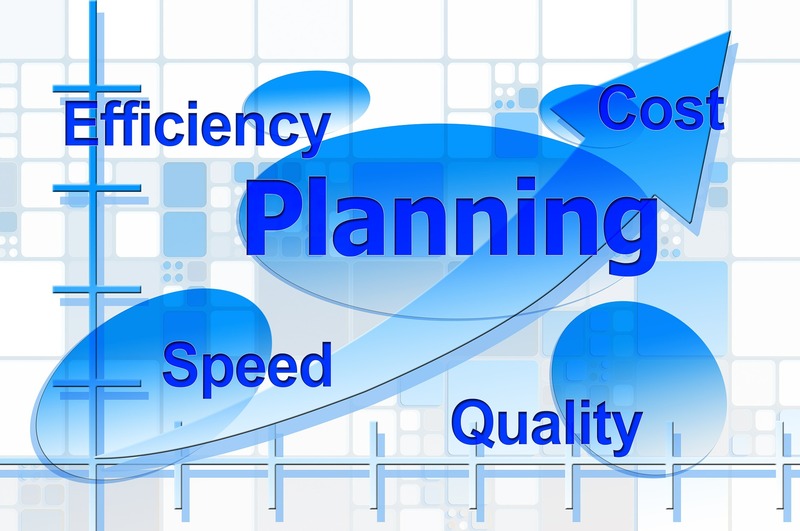 Now, Nebula-IMS gives you the tools to achieve the same performance in your business no matter how big or small. Many tradespeople spend hours doing bookwork and quoting. Now you can invoice as you go, build quotes as you visit the client. Nebula-IMS will reduce the time you spend in the office and give it back to you to spend with your family or if you want to grow your business, you can use the extra time to chase your dreams. It’s true to an extent! If nothing goes wrong and there are no accidents ….no-one complains to Worksafe/Safework or Fairwork Australia ….and Fairwork Australia or Worksafe/Safework don’t include you in a random audit sweep, you will probably succeed in ignoring your obligations. Ignorance is not an excuse in a court of law. Fortunately it doesn’t have to be like that. Nebula-IMS gives you the tools and information that will enable you to sleep at night knowing you have done everything you can to minimise your risk. There’s certainly quite a bit of work to do in the beginning but once that work is done, maintenance of your compliance processes doesn’t consume much time. Below you will see a snap shot of a few cases that were successfully prosecuted in various states of Australia. We have also provided links to various websites listing all of the successful prosecutions. Remember prosecutions are at the extreme end. On the spot fines and enforceable undertakings powers are also at the disposal of inspectors. The ultimate sanction is imprisonment for wilfully risking the lives of others. For most of us it is a mixture of luck and having good employees that keep us out of the courts. Nebula-IMS have an alternative that can give you peace of mind. Nebula-IMS’s WHS and HR compliance modules are the cheapest form of insuring you meet your compliance obligations and if things do go wrong we can refer you to HR and legal expertise to help you through an issue at a reasonable cost. A labour-hire operator in Melbourne who has been the subject of a “litany of complaints” has been fined $42,840 after deliberately underpaying two workers.The Federal Circuit Court has imposed the penalty against Franco Cardamone following an investigation and legal action by the Fair Work Ombudsman. Cardamone, whose business traded as Howsitgoingmate, underpaid two workers a total of $1970 for short periods of manual work in 2013 and 2014.He also breached sham contracting laws by knowingly misclassifying one of the employees as a contractor and contravened his pay-slip obligations. 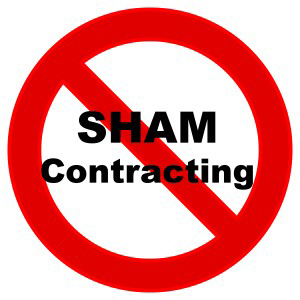 The High Court has unanimously upheld an appeal from the Fair Work Ombudsman in relation to a sham contracting matter affecting workers at a Perth accommodation facility. 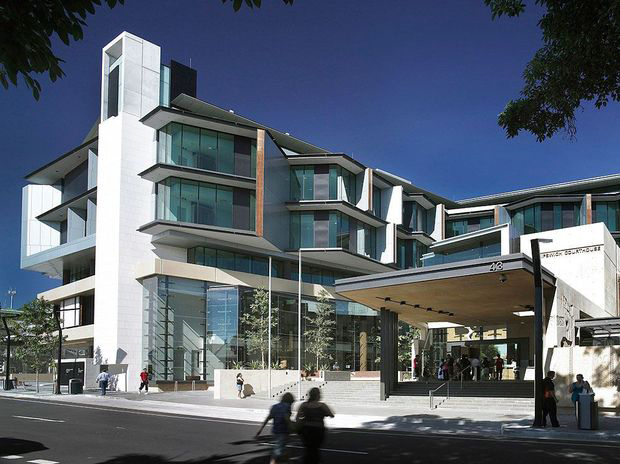 The High Court has ruled that Quest South Perth Holdings Pty Ltd, which formerly operated the Quest on Arlington serviced apartments, breached sham contracting laws when it attempted to convert three employees into independent contractors in 2009. The Fair Work Ombudsman will audit up to 50 businesses in Darwin this week as part of a new campaign. Fair Work inspectors will check that employers are paying the correct minimum hourly rates, penalty rates, allowances, loadings and providing appropriate meal breaks.Compliance with record-keeping and pay-slip obligations will also be monitored. The campaign will focus on employers across a range of sectors, including building and industrial cleaning services, cafes and restaurants and fast food. All businesses will be randomly selected. The Fair Work Ombudsman has again secured a penalty against a former Victorian petrol station operator, this time for ignoring an order to pay compensation to an unfairly dismissed employee.The Federal Circuit Court has imposed a $20,000 fine against Wedderburn Petroleum Pty Ltd, which formerly operated a petrol station at 117 High Street, Wedderburn, north-west of Bendigo. In addition to imposing the penalty, the Court has ordered Wedderburn Petroleum to pay the outstanding $5000 compensation. Wedderburn Petroleum was last year fined $123,915 in Court for underpaying two other console operators a total of almost $50,000. That penalty was also the result of legal action by the Fair Work Ombudsman. 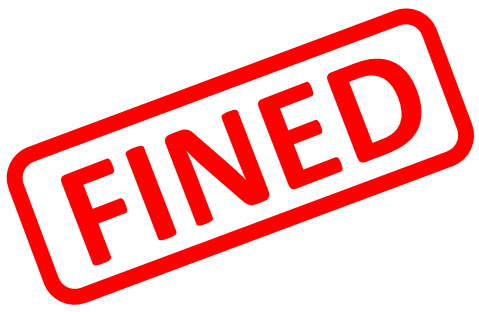 The operators of an Adelaide business have been fined a total of $6460 after failing to pay an $850 on-the-spot fine for not issuing pay-slips to two overseas workers. The Industrial Relations Court of SA has imposed the penalties after the Fair Work Ombudsman commenced legal proceedings. 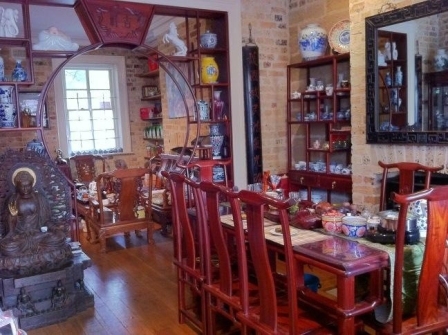 Legal action followed the failure by Dragon Tea House Pty Ltd and its sole director Xia Xu Zhou to pay an Infringement Notice. Pay-slips were not being issued to a restaurant manager on a 457 visa and a front-of-house employee on a student visa, both from China. Under the Fair Work Act, employers must provide employees with pay-slips within one working day of paying their wages. In response, the Industrial Relations Court has handed down a $5100 penalty against Dragon Tea House and a further $1360 penalty against Zhou for her involvement. Below are brief summaries of successful prosecutions of breaches under WHS legislation. A number of these cases were prosecuted under legislation in force prior to harmonised WHS legislation and the penalties are significantly lower than is the case under harmonised WHS Acts. Full details of all cases can be viewed by following the links provided for each jurisdiction. One month before his 60th birthday William Fielding’s right arm was traumatically amputated by an unguarded machine while he was performing his normal work duties. Mr Fielding was then employed as a machine operator by Gambier Earth Movers Pty Ltd.
Fine: $185,000, which after reduction by 40% results in a fine of $111,000. Conviction against Gambier Earth Movers. A 17-year-old contractor suffered multiple injuries - displaced femoral shaft fracture, back injury, deep lacerations to the head, and five chipped teeth - when he fell eight metres down a lift shaft void while assisting with a concrete pour on the first floor of a multi-storey dwelling under construction. 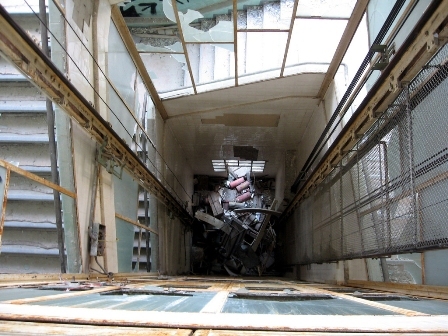 The magistrate found that the company failed to ensure that the workplace was maintained in a safe condition with the presence of an exposed lift shaft at the site. At approximately 9am on 23 June 2014 a carpenter was nailing sheet flooring, pressing against an unsupported brick wall. Another carpenter was assisting him to do this and as he walked away to get another sheet, the wall collapsed on top of the first carpenter, and he was unable to be revived. Builder failed to follow Australian standards, undertook sequence of work out of normal order and failed to provide a safe place of work. 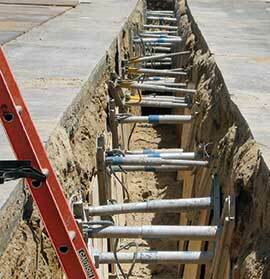 Three employees of the offender were working in a trench without a trench shield. On the day of the incident, the section of trench being dug intersected with a large sewer pit and several smaller sewer pipes that crossed through the trench. An employee of the offender explained that when they encountered a cross over pipe they would continue to use the shield to lay sewer pipes. However, when the trench shield did not fit because of the cross-over pipes they would simply lift the shield over the existing piping, which meant that people in the trench were not working within the trench shield and so receiving the coverage they needed to safely work. 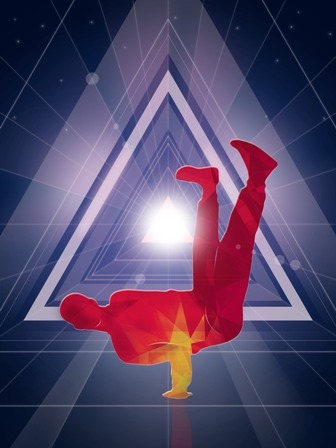 There was a risk of serious injury to or death. 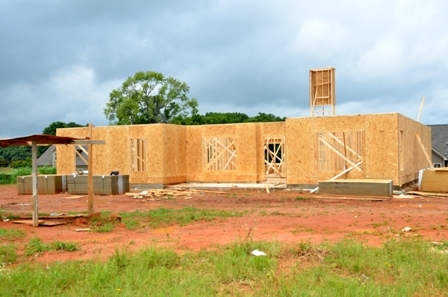 Quality Carpentry and Building Maintenance employed two apprentice carpenters and two subcontractors. In April 2015, an 18 year old apprentice carpenter made a complaint to WorkSafe that he had been bullied by the offender since he had commenced working for the offender in April 2013. The allegations included incidents of verbal, physical and psychological bullying and harassment. The investigation established that the offender had failed to provide a safe system of work and the necessary information, instruction, training and supervision to employees in relation to workplace bullying. During the relevant period, the offender had engaged in workplace bullying and encouraged his employees to participate in bullying behaviour. The offender pleaded guilty and was, with conviction, sentenced to pay a fine of $12,500 and to pay costs of $757.71. WorkSafe Victoria received information that there was a domestic dwelling in a state of demolition that possibly contained asbestos. Employees of the offender had commenced demolition works at the workplace. The building being demolished was partially covered in asbestos containing material. The offender failed to ensure, so far was reasonably practicable, that the workplace was safe and without risks to health when it failed to ensure that it identified asbestos under its management and control that was likely to be disturbed by proposed demolition work and ensure so far as is reasonable practicable that the asbestos was removed before the demolition work was commenced. 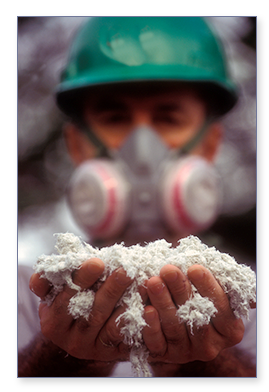 On 6 August 2015, there were risks to health and safety by way of inhalation of asbestos fibres which could lead to diseases such as mesothelioma, lung cancer and asbestosis. A subcontracted concrete pumping truck set up its outriggers on the capping beam in the laneway adjacent to the workplace. 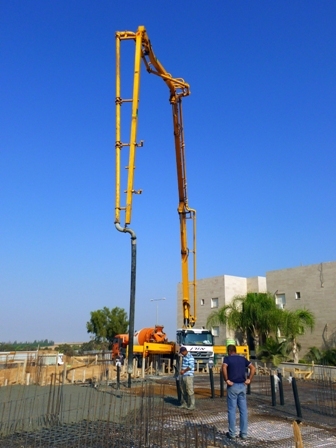 A capping beam is solid concrete supported by piles and a suitable place for heavy machinery with outriggers such as concrete pumping trucks to be set up. There was a hazard along the capping beam in that there was an unidentified ventilation shaft within it. The offender had covered the shaft with 100mm layer of concrete (presumably to prevent people from falling into it) but in doing so created a hazard because the shaft looked like part of the capping beam. There was a real and obvious risk of serious injury or death to a person if the shaft was penetrated. A worker was up on a mobile scaffold, holding and directing a hose into formwork columns. Six columns had been poured and the concrete pumping truck swung its boom over to the seventh column. The left rear outrigger of the concrete pumping truck penetrated the 100mm layer of concrete, tipping the truck over, causing the boom to come down and hit the scaffold. The worker on the scaffold suffered a crushed right hand, broken right ankle and foot, and a fractured spine. He also required skin grafting. A WorkSafe inspector observed employees of the offender working on top of the canopy at a petrol service station in Sunbury. He observed signage stating the canopy was 4.8 metres high and estimated the workers were approximately five metres above the ground. A mobile scaffold was assembled on the front left corner of the canopy. The scaffold was more than four metres in height, was incomplete in that it was missing handrails and edge protection at its top and was not secured to the canopy. There was a gap of 200-300 mm between the scaffold edge and the canopy. The employees stated that their supervisor had just left the site just prior to the inspector’s attendance, and that they continued to work in his absence. The offender, his employees and their supervisor did not hold appropriate high risk work licences for the erection of scaffold over four metres in height. The offender was charged with allowing employees to perform high risk work, being erection of scaffold over four metres, without the appropriate high risk work licence; failing to provide or maintain systems of work by failing to ensure scaffold was complete and secure prior to allowing employees to access it; and failing to supervise employees to ensure that they did not access the incomplete and insecure scaffold. On 26 July 2013 two workers were injured when the underground fuel storage tank they were moving with an excavator exploded. After a SafeWork NSW investigation the defendant, Brilliant Along Developments Pty Ltd, was charged with breaches of section 32/19(1) and section 32/19(2) of the Work Health and Safety Act 2011. On 22 April 2016 the defendant was convicted by the District Court and the defendant was fined a total of $240,000. On 20 September 2012 a worker was fatally injured when he fell approximately 5 metres through a penetration at a construction site. After a SafeWork NSW investigation the defendant, Romanous Contractors Pty Ltd and its director John Allen Romanous, were charged with a breach of section 32/19(1) and section 32/27(1) of the Work Health and Safety Act 2011 respectively. On 8 April 2016 the defendants were convicted by the District Court and the corporate defendant fined $425,000 and the director defendant fined $85,500. 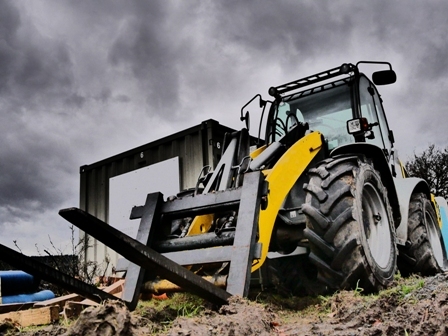 On 16 December 2013 a worker was fatally injured when he was struck by a reversing forklift at a potato farm. After a SafeWork NSW investigation the defendant, Oakville Produce Pty Ltd, was charged with a breach of section 32/19(1) of the Work Health and Safety Act 2011. On 7 April 2016 the defendant was convicted by the District Court and fined $187,500. 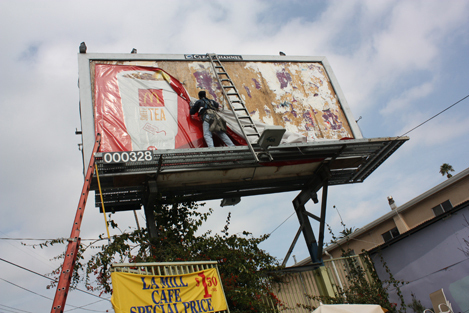 Two of the defendant's workers were removing and installing advertising skins (which form billboard advertising) from an elevated platform. An uninsulated metal pole measuring 6.5 metres was being used by one of the workers to remove the advertising skin; the worker contacted live power lines and was electrocuted. Residential Roofing was contracted to replace roof sheeting at a residential property and employed three workers to complete the work.No arrangements were made to cut power to the dwelling, despite electrical cables running on top of the roof. Worker one and worker two were on the roof laying and screwing metal roofing sheets down, while worker three was on the ground passing the roofing sheets up. Worker one fixed a metal roofing sheet in place using a 65 millimetre steel screw, which penetrated the live conductor of the mains cable. The screw acted as an electrical bridge to the metal roof making it live (energised). The workers did not realise the roof was energised and began climbing down the ladder. As worker two was climbing down (worker one was still on the roof) he noticed a wallet in the gutter and reached in to grab it. He made contact with the gutter and received a serious electric shock. Worker one reacted by grabbing worker two, and the ladder, in an attempt to push the ladder away from the roof. He also received an electric shock and fell to the ground. 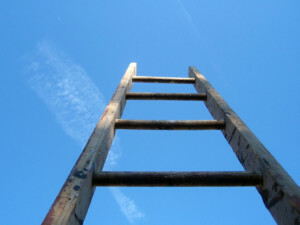 The ladder, and worker two, fell to the ground. Worker three saw the events and ran over to the switchboard to turn the power off (this would not have ceased the electricity supply through the mains cable energising the roof). Worker two was unconscious on the ground and not breathing when worker three went to his aid and commenced resuscitation. Worker one (who fell off the roof) was conscious and breathing and assisted with the resuscitation. Worker two was revived and transported to Princess Alexandra Hospital. Worker one was transported to Ipswich Hospital. Worker one sustained an electric shock but no injury. He was released from hospital following tests and observation. Worker two had CPR administered at the incident for six minutes until Queensland Ambulance Service attended and provided defibrillation. He sustained a cardiac arrest, was intubated at site and then admitted to the intensive care unit at the Princess Alexandra Hospital for 24 hours of active cooling, a procedure in which cool fluids are intravenously administered in an attempt to protect the heart following electric shock. He fractured five ribs, suffered a serious laceration to his hand and sustained a collapsed lung. The defendant had no prior convictions, did not cooperate fully with the investigation and did not appear at the sentence which proceeded ex parte. The defendant did fax the court information concerning its financial status, outlining it had run at a loss. JCW Electrical Pty Ltd (ACN 141 195 708) (JCW) is a corporation that operated an electrical contracting business from premises located at 7A Stuart Street, Bunbury. On 8 February 2013 at approximately 7:30 a.m., Dale Mortley (a licensed electrician employed by JCW) and an 18-year-old trades assistant employed by JCW who was not licensed to perform electrical work attended a residence combined dining/lounge room. 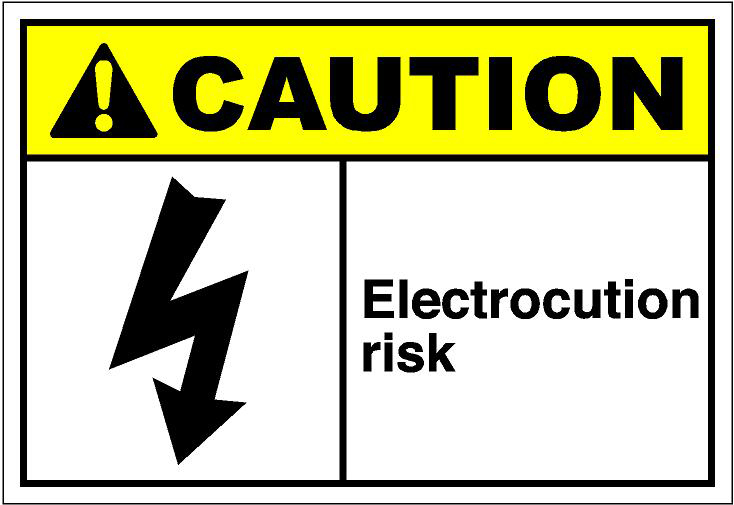 Whilst assisting in the roof space the trades assistant was electrocuted. Emergency services then arrived, cut off all power to the Premises at the switchboard, and took over first aid on the trades assistant. The trades assistant was taken to hospital but was confirmed deceased shortly after. On commencing work as a licensed electrician with JCW, JCW did not give Mr Mortley further training or instruction as to the testing of circuits for energisation, on the basis that that area was basic knowledge for a qualified and licensed electrician. Category: Employer, failed to, so far as was practicable to provide and maintain a working environment in which its employees were not exposed to hazards, contrary to sections 19(1) and 19A(3) of the Occupational Safety and Health Act 1984 (Act). 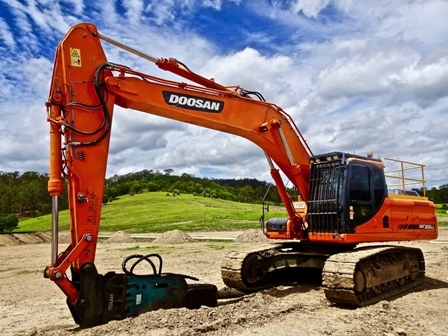 On 12 December 2011 an experienced construction worker was killed when he was struck by a reversing grader at a civil construction site in West Belconnen. 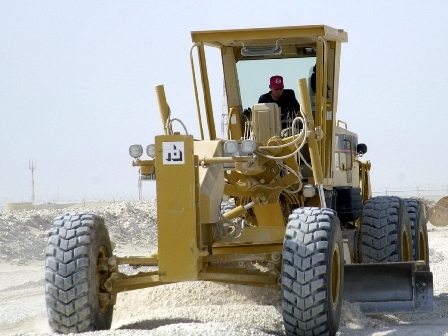 The grader was "trimming" the soil as part of the construction of a road. The deceased worker was checking and marking soil levels at survey pegs placed at intervals along the proposed road site. This required him to crouch or kneel down to line up his hand held telescopic sight with the survey pegs and then give hand signals to the grader driver to indicate where and how deep the grader blade should cut. At one point during that process, the grader reversed at an angle towards the area where the deceased worker was kneeling to check the grade of the road. The worker was not visible to the reversing grader operator. The worker appeared not to hear the reversing signal beeper of the grader or the warning shouts of his co-workers. He was struck by the grader and died from the injuries he sustained. Category; Failure to comply with a safety duty which exposes an individual to a substantial risk of serious harm). 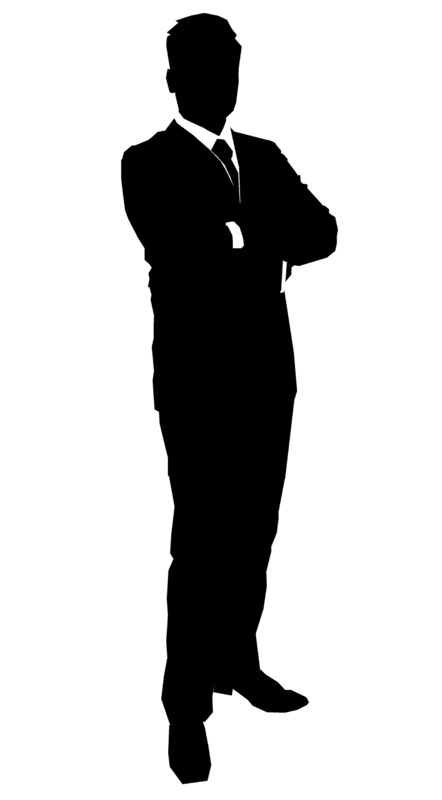 Maximum penalty $550,000 for a corporation. 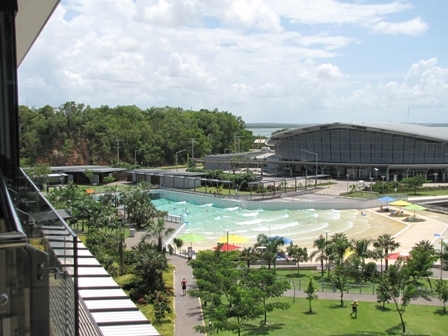 Three companies have been charged with breaching their duty of care following the electrocution death of a worker on Darwin’s Waterfront development. Twenty-three-year-old welder Cameron Bradley died in February last year when he was working on a pontoon near East Arm Wharf. The three Contractors have been summonsed to appear in the Darwin Magistrates Court on charges of breaching Section 29 of the Work Health Act. They face a maximum penalty of $125,000 each. NT Worksafe spokesman John Hassed says the detailed investigation meant it took a long time for charges to be laid. “The charges predominantly are under section 29 of the Work Health Act, and allege a failure to provide a safe workplace and that the health and safety of a worker was adversely affected by the work being undertaken,” he said. Electrical Trades Union spokesman Alan Paton says unions will campaign for construction companies to submit site safety plans to NT Worksafe before they start any building work in the Territory. Conduct – Taking pride in your work, taking responsibility for your work, not accepting sub-standard work, acknowledging mistakes. So how does Nebula-IMS help do this? Nebula can’t give a person a moral compass but using a system like Nebula-IMS helps ensure transparent, fair and equitable employment practices. A client management system that maximises good service delivery and a Job Card and invoicing system that provides good communication of your services and fees offering a level of transparency and probity will assist you to demonstrate a very high level of professionalism. Very successful big companies have used the power of systems such as Nebula-IMS to create a major point of difference between themselves and their competitors. Nebula-IMS makes providing a similar level of service delivery and compliance possible for small business as never before. 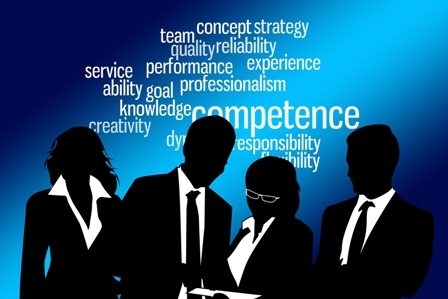 Nebula-IMS combined with your input and effort equals a highly professional business, no matter how big or small you are.